BOSTON — Legalization of marijuana would result in greater dangers on Massachusetts roadways, where authorities are ill-equipped to even know whether drivers are intoxicated by the leafy green drug, opponents of Question 4 said. “If this ballot question passes we’re asking police officers on the street to do an impossible task. We’re asking them to determine if somebody’s impaired or not,” Rep. Paul Tucker, the former chief of police in Salem, said at a Tuesday, Oct. 25, press conference outside the State House. At an Oct. 25 press conference with lawmakers and AAA, Essex County District Attorney Jon Blodgett argued against a marijuana legalization ballot question, warning that law enforcement members do not yet have a way to test for marijuana-impaired driving. Unlike drunken driving tests where blood and breath measurements can give a clear indication of a motorist’s state of intoxication, marijuana drug tests generally measure whether someone has used the substance over a longer period of time. Jim Borghesani, the spokesman for the campaign seeking to legalize adult marijuana usage through the ballot initiative, said studies are underway that could potentially improve enforcement, and said police can now take action when someone is driving erratically. “Police officers have every ability to pull over somebody who’s driving impaired and take them off the road,” Borghesani told reporters. There will be two studies in the field next year with researchers exploring the use of “intelligent fingerprinting” and saliva to determine recent marijuana usage, he said. Polls have shown voters leaning toward passage of Question 4, which would legalize adult possession, home-use and eventually the retail purchase of marijuana. Opponents say easier access to the drug, especially in its slow-acting edible form, could create a menace on streets and highways. Mark Leahy, the former Northborough Police chief who is now executive director of the Massachusetts Chiefs of Police Association, told State House News Service that police can receive training to become drug recognition experts, or D.R.E.s, but it is expensive. Leahy said officers can make a stoned driving arrest even without D.R.E. training but said there is a “horrific conviction rate” even for drunken driving, a crime where there is widespread public knowledge and tests that can quantify the amount of alcohol in someone’s bloodstream. Sam Cole, a spokesman for the Colorado Department of Transportation, told State House News Service the state has upwards of 250 drug recognition experts but no roadside device to measure the level of marijuana in a person’s system. In Colorado, where retail marijuana sales began in 2014, drivers suspected of marijuana intoxication are asked to consent to a blood test after they are arrested, with penalties for refusal, Cole said, and the state’s legislature set a limit of 5 nanograms of THC – an intoxicating chemical in marijuana – per milliliter. He said there is disagreement about whether that is an accurate measure. Essex County District Attorney Jonathan Blodgett said the state is “years away” from a roadside test for marijuana intoxication that is approved by the courts. 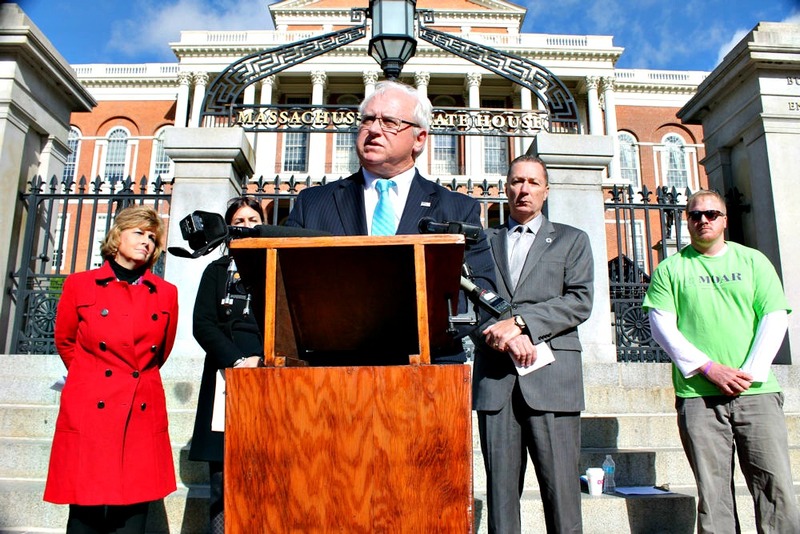 Borghesani said Massachusetts lawmakers should have set standards to convict someone for driving while high on marijuana after voters decriminalized possession of up to an ounce of marijuana in 2008 or after voters legalized marijuana for medical purposes in 2012. No way to tell if someone is impaired while driving? How long has medicinal marijuana been available? Why hasn’t a test already been perfected to measure ability to drive? We shouldn’t hold up legalization because law enforcement hasn’t figured this out yet.